ANIFLYGARD (insect growth regulator) is the perfect solution farmers who wish to reduce flies in poultry pen/houses and ensure firm and dry poultry manure. This feed additive will help you achieve these and more. 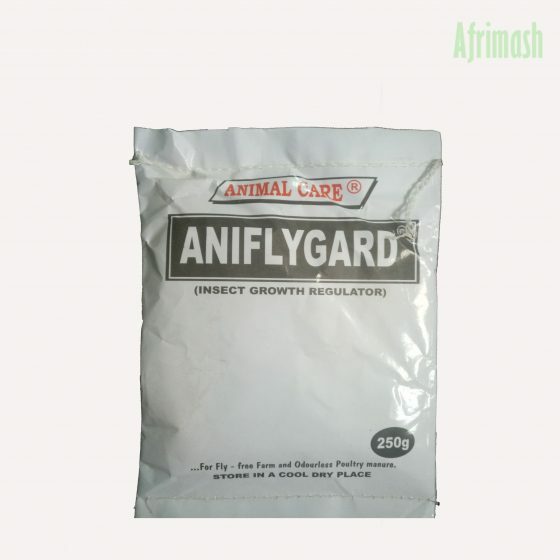 ANIFLYGARD is a poultry feed supplement which controls certain species of the House Fly (Musca Domestica), (Fannia Canicularis) Black Soldier Fly (Hermetia Iliucens), Stable Fly (Stomoxys Calcitrans), and also fleas (Siphonaptera spp) which may develop in poultry manure. 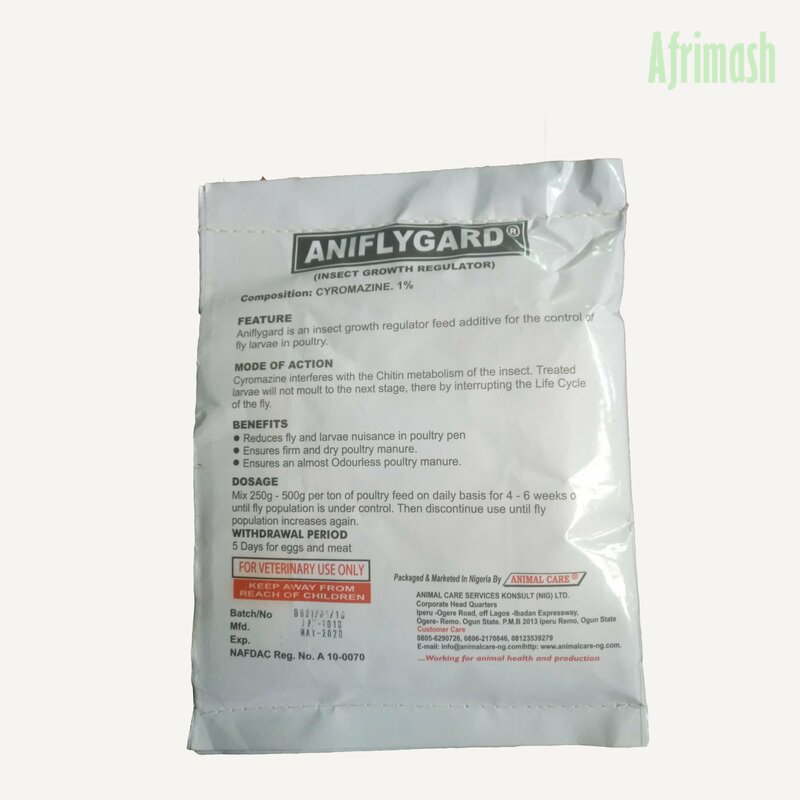 ANIFLYGARD contains Cyromazine which interferes with the chitin metabolism of insects. It interrupts the life cycle of the flies by disrupting the moulting of the larvae. It reduces the nuisance of fly and larvae in poultry pen. Ensures a firm and dry poultry manure. Helps remove bad odour on the poultry manure/farm. It reduces the risks of vector borne diseases. It helps reduce stress on the birds. 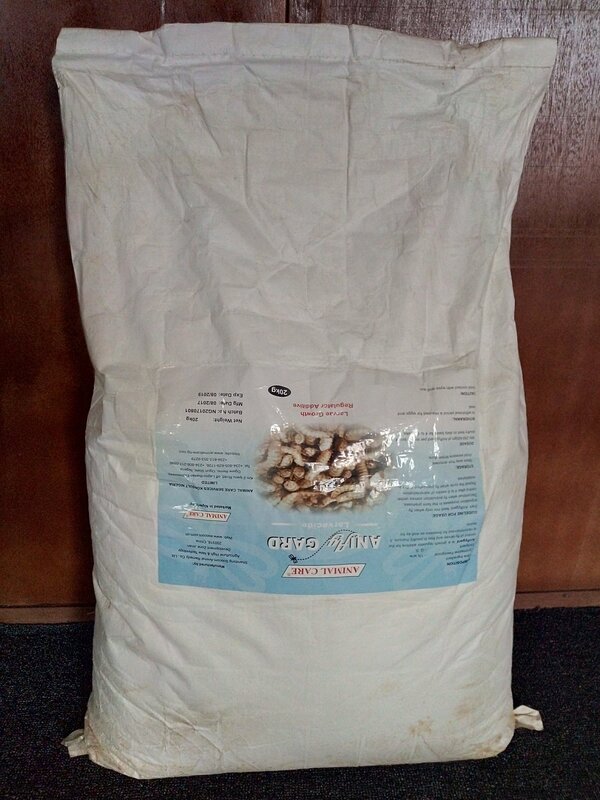 Mix 250g-500g to a ton of poultry feed every day for 4-6 weeks regularly or until the fly population is under control. Then discontinue until fly population increases again.